Ballethnic Dance Company chose Downtown East Point in 1990 for its small town feel and close proximity to Atlanta. Ballethnic is a classically trained, culturally diverse ballet company that blends traditional ballet with the artistic influences of other ethnic cultures. They are Georgia’s first and only African-American founded professional ballet company. 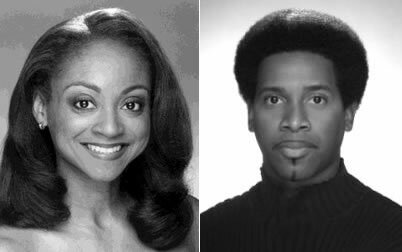 Ballethnic was co-founded by husband and wife team Nena Gilreath and Waverly T. Lucas, II both of whom are dancers whose professional credits include Dance Theatre of Harlem and Atlanta Ballet. Ballethnic Dance Company prides itself in creating and presenting world-class professional ballet performances, arts education and workshops. “Central to Ballethnic Dance Company’s mission is the desire to make world-class arts accessible outside of the downtown Atlanta area. 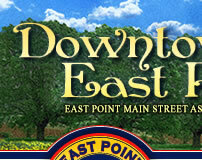 The City of East Point has the community feel of a small town while offering close proximity to downtown.". Programs include Dance Diversity Summer Arts Camp, the Danseur Development Project which offers dance for young men from an athletic approach and the Ballethnic Youth Ensemble which provides performance opportunities to young dancers. Their ground-breaking ballets are acclaimed throughout the dance world for their artistic excellence and cultural diversity. Locally, Ballethnic Dance Company is well known for their signature ballet The Leopard Tale, Urban Nutcracker, an Atlanta holiday tradition and the Cheney Cultural Cul de Sac Series, a free public performance on an outdoor stage with musicians, dancers, singers and artists. A little known fact is that Ballethnic Dance Company was one of only four regional companies selected to perform in the 1996 Cultural Olympic Arts Festival!